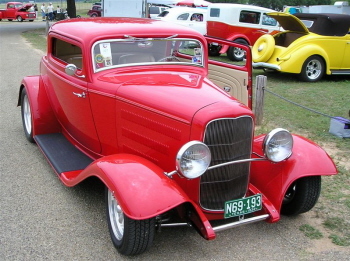 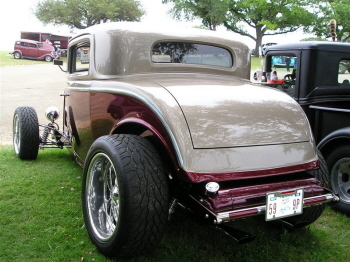 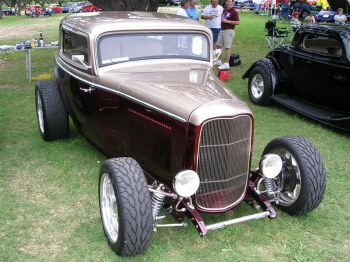 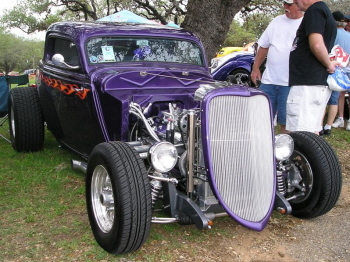 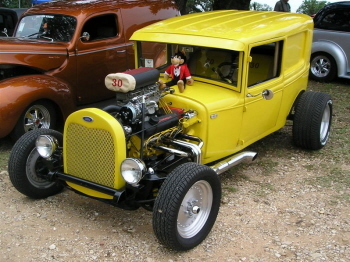 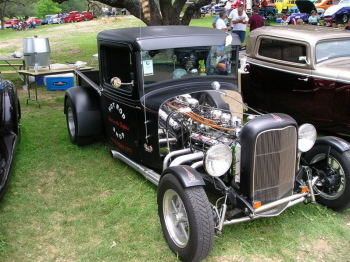 Also a member of the Push Rods of San Antonio is M. Marones with his '32 Chevy coupe. 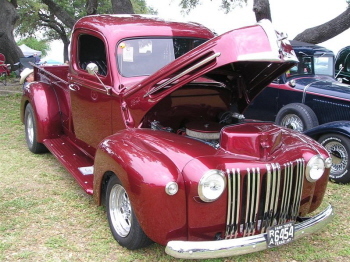 Another view of the McNair's pickup! 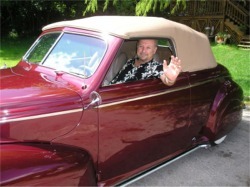 Billy Bunch cruises in comfort! 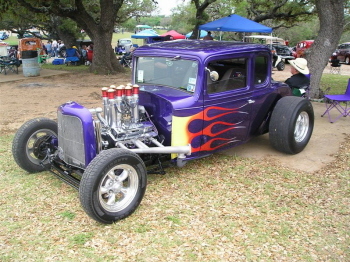 Billy Bunch sure knows how to treat a 3-windo deuce!! 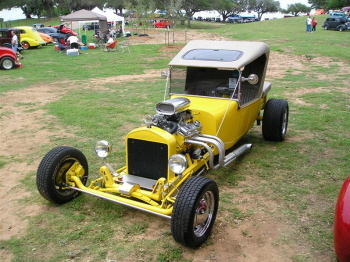 Cook of Rockwall says he belongs to the Concrete Lizards! 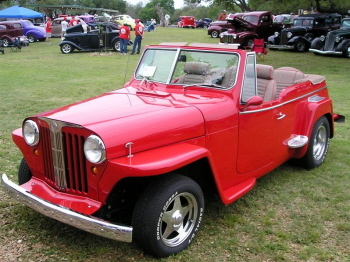 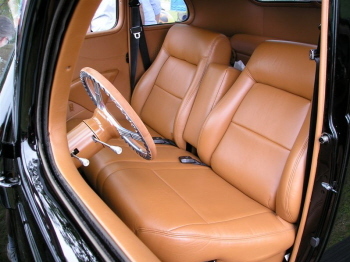 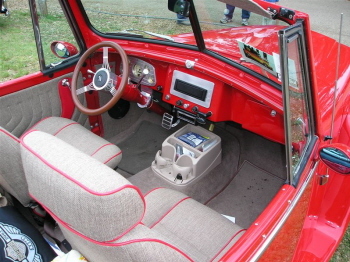 Doesn't look like a Jeepster from this angle! 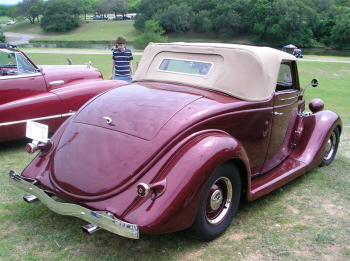 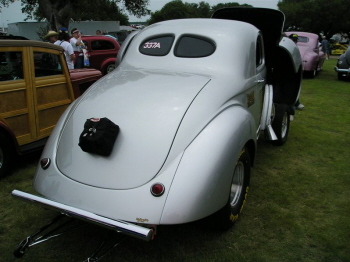 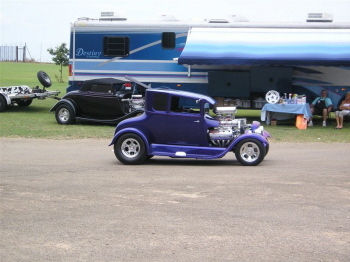 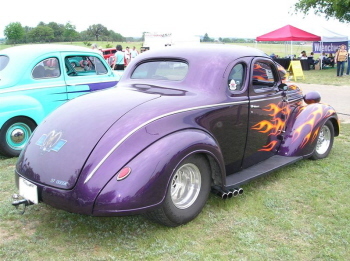 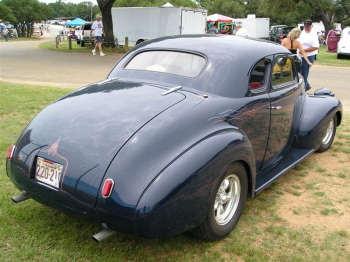 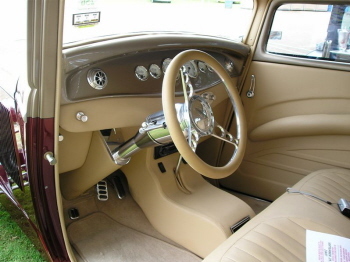 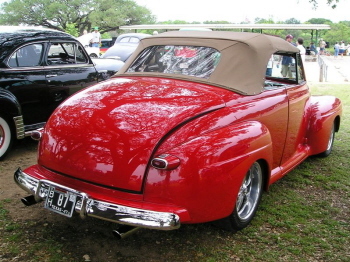 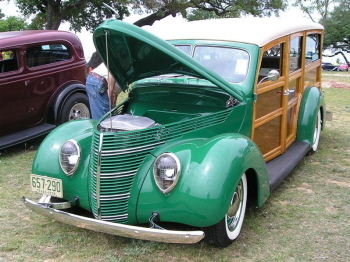 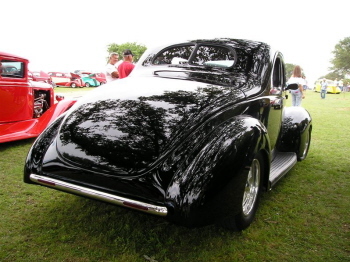 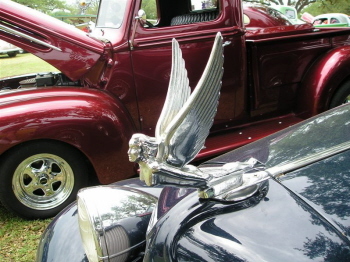 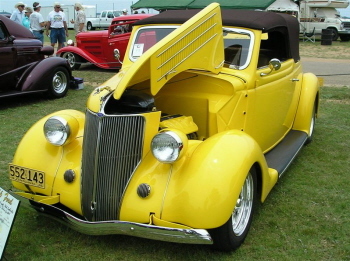 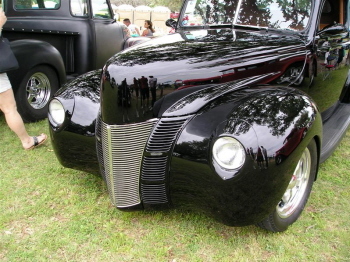 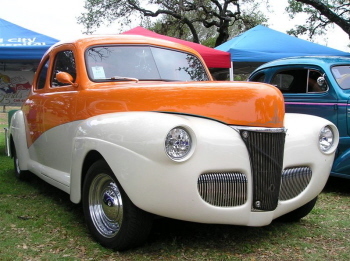 Edward Budnik of San Antonio had better have Budnik wheels on his shiny '40 Ford! 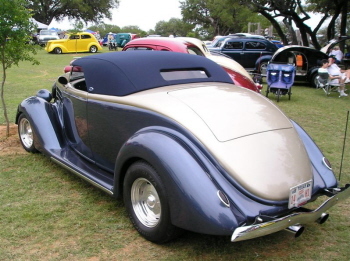 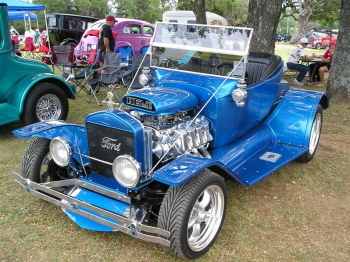 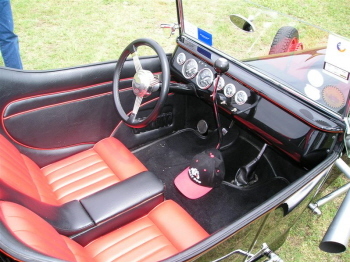 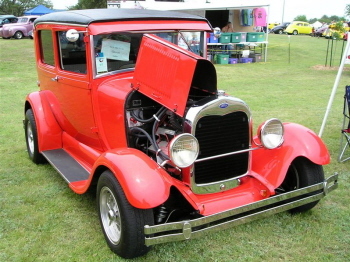 Ever seen a T-Bucket with a sun roof!! 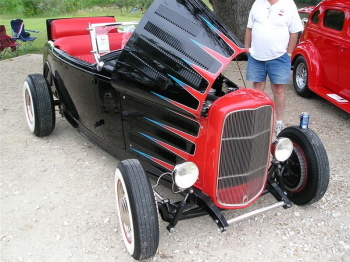 Tommy Fleet's got one! 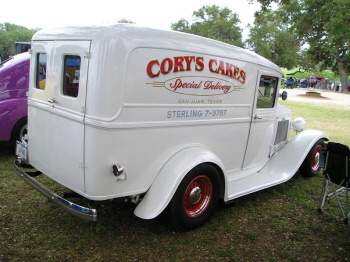 I betcha Corky's Cakes are darn good if their delivery truck is any indication!